Nice! Looks great! Are you planning on retopoligizing these? Thanks Mark! Long time buddy. Lunch soon? 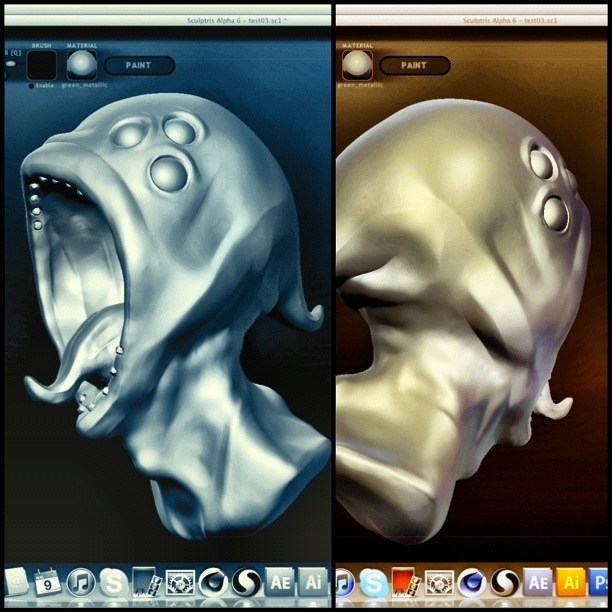 I have not planned on it yet, I was more experimenting with Sculptris, but I guess that would be the next thing on my list to learn! I’ll do it on my next model which I’ve started, full body creature.